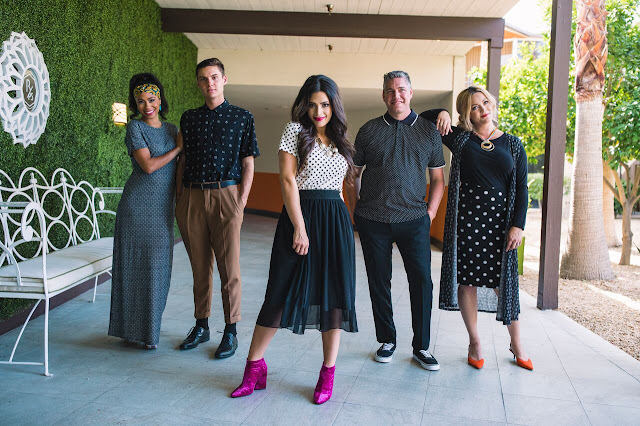 LuLaRoe recently introduced their Noir and Blanc Collection, a curated array of 19 styles for women, men, and children in retro-inspired prints with a chic flare. Perfect for weekend getaways this Fall, the polished styles can be layered and worn year-round. LuLaRoe fashions are lightweight, wash perfectly, and never need ironing. Made of buttery soft fabric, you won't believe how comfortable they are. The Noir and Blanc Collection provides effortless style and comfort wherever you go ~ school, work, church, or lunch with a friend. The Collection is priced from $24 (starting youth price point) to $70 and sizes from XXS - 3XL. LuLaRoe is sold exclusively through independent retailers who embrace social selling, and each offer a selection of unique styles. To find a Retailer near you, or for more info on starting your own business, visit lularoe.com and connect with them on Facebook and Twitter. I love LuLaRoe and grateful for the information, Thank You!